Melanie utilises extensive leadership and coaching experience to help Australian and UK organisations innovate, grow and transform. She has a highly engaging style, and collaborates to deliver complex organisational change programs across the public, private and not-for-profit sectors. Melanie has a background in organisational psychology and brings considerable experience in organisational re-design, leadership coaching and development, team effectiveness and capability-building, and cultural change. Facilitated the organisational design, development and implementation of a systems project; including a major cultural change program; in preparation for the production phase of a £3.8Bn GBP construction program. Prior to joining Nous, Melanie was the general manager of a service design and advisory group within Serco Asia Pacific. She spent some years in the UK in key organisational design and development management consultant roles for the NHS, Serco UK and BAA. 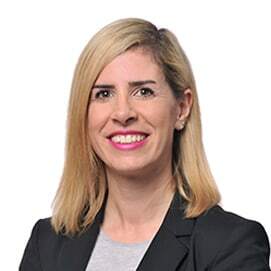 She commenced her consulting career with Accenture in Melbourne and Sydney, specialising in large-scale organisational transformations; largely in the financial, utilities and telecommunication sectors. Melanie holds a Graduate Diploma in Educational Psychology a Bachelor of Arts from Monash University. She is a member of CIPD and Women on Boards. Melanie spends her spare time with her little family going on grand adventures through beaches, parks, zoos and museums. When not adventuring, she can be found recycling items into fantastical art with her children and reading. She is interested in social enterprises in early education, fashion and the arts.